In June 2009 Francis Pott attended a performance of his Cello Sonata at the Mananan Arts Festival in Port Erin, Isle of Man. Intrigued by the mysterious Milner Tower on Bradda Head, guarding the entrance to the bay, he walked up to it on a blustery summer�s day. By the time he returned, ideas for a companion sonata for viola and piano had come into being. Not long before this, the Japanese-born, London-based violist Yuko Inoue had requested that Francis consider writing her a piece. 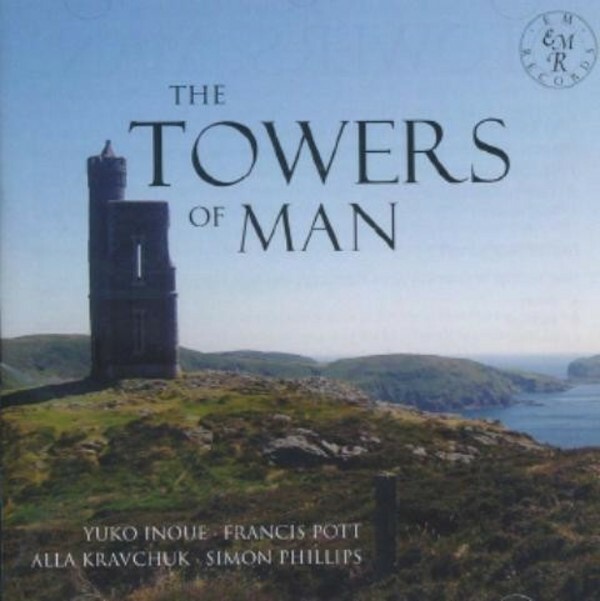 The Sonata which eventually resulted is a sweepingly romantic half-hour work embodying the composer�s response to the dramatic South Western coastline of Man and, in particular, to two of the various towers dotted along its length: Milner Tower and Corrin�s Tower, a commemorative folly with a tragic history, situated on the cliffs above Peel, Man�s only cathedral city. This is the world premiere recording for both works.